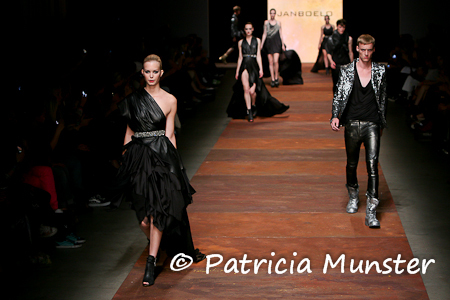 Jan Boelo presented on the fifth and last day of Amsterdam International Fashion Week his spring/summer 2012 collection. In this post about his women's wear. Jan Boelo started in 2010 to create his own designs after several traineeships, among them at Jan Taminiau and Balmain. Yesterday he showed his third collection.